Some things are reserved for Christians only. It’s like an initiation requirement to be apart of the club. Baptism is kinda like that…how cool is that? It’s one of these things that Christians do. This week our focus is on those who have been inducted into the Christian society by way of baptism this year. 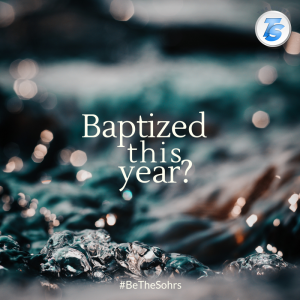 Share or like this post if you were baptized or know someone who has been baptized in the past year. It’s time your time to support our #BeTheSohrs campaign. Share via Facebook, or Twitter. Help us show the world what Christians do!